Two Lincoln County High School students have participated in prestigious camps over the summer. Evelyn Warden, an incoming freshman saxophone player, just completed the Loyola University Jazz camp in New Orleans, La. There, she played with talented young musicians from across the country. There were 103 musicians in attendance, and she competed and was awarded a top seat in the “Big Band” ensemble. Warden also had multiple improv solos with her combo group. There were presentations by Preservation Hall and many others. “The camp has had players like the Marsalis brothers and others who are the best modern jazz musicians of this era,” said Johnson. 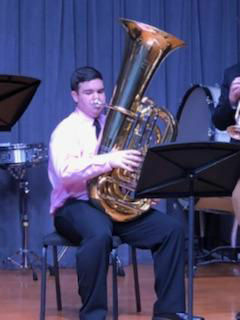 Another LCHS student, Taylor Slayton, an upcoming sophomore tuba player and the tuba section leader for 2018-19, was selected to participate in a week-long fully immersive and intensive study in music with the Littlestone Music Camp. This camp for the first time has been hosted here in Tennessee at the University of Tennessee at Martin. 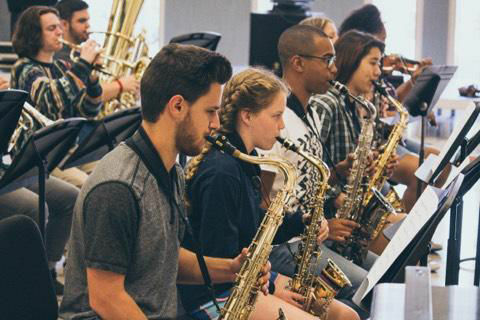 During the camp, Slayton took part in courses on composition and songwriting, recording and music technology, as well as learning in musical settings such as jazz band, concert band, choir, private lessons from UTM applied faculty and other chamber ensembles. Slayton was the only tubist selected to participate in this camp, which brought in students from across the eastern United States.